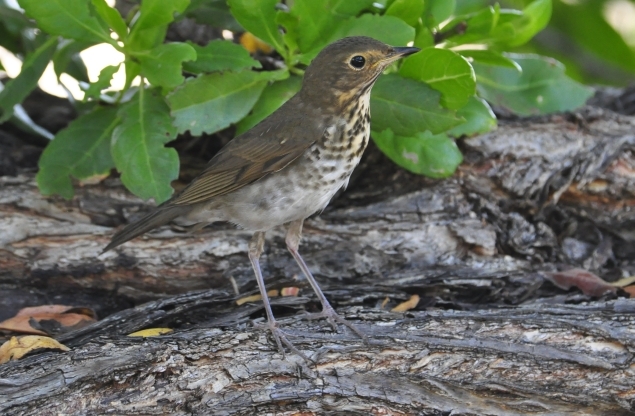 What does Final Five material know about Swainson's Thrush? Everything. Dry Tortugas National Park, FL. BREAKING NEWS. Being the Number 7 birder in the United States, I am constantly besieged with questions about the Global Birder Ranking System (GBRS) that assigned me this lofty position in the first place. As I have mentioned before, GBRS is very secretive, and those of us considered to be Birding Giants are typically under various gag orders...we are able to acknowledge the existence of GBRS, but giving out details is not something we are typically free to do. Until now. I recently received this memo (something I am normally not privy to) from an Anonymous Source about the current guidelines of potential inclusion into the vaunted Final Five; the top 5 birders in the country. Although I put my ranking and reputation at great risk by releasing this information to you all, hopefully it will put an end to the one of the questions I get the most...how do you get into the highest circle of the greatest birders in the United States? Below is the complete memo, almost entirely intact, brought to you by none other than The Human Birdwatcher Project ("Birders are people too!"). Please do not ask me to explain the quote at the bottom...certain things are better left unsaid. Hello GBRS staff, we hope this memo finds you well. With the discovery of mega-crippler Rufous-necked Wood-Rail (which earned Mr. Daw an outstanding 84 points! ), many of you newer staff have been wondering how discoveries like this (or lack thereof) can affect the standings of The Final Five. The Final Five, of course, have all been there for several years now, with 4th and 5th place birders switching places several times as a result of certain eyebrow-raising gull misidentifications and a brief but bizarre public meltdown of Number 4 while chasing a Pink-footed Goose last winter. This outburst has since been attributed by the GBRS Ranking Audits Division (GBRS-RAD) to the observer's marathon of whisky consumption, brought on by a particularly nasty dip from the day before. GBRS-RAD recently determined this was an act of desperation, rather than deeply-ingrained personality flaws manifesting themselves (see March 2012 memo "Recurring Traits Found in GBRS Low-Ranked American Birders"). The GBRS High Cabal wants to reassure you junior staff that the regulations for eligibility of The Final Five have remained much as they have been since the January 2011 memo. As a refresher, here are the current requirements for inclusion in the Final Five. 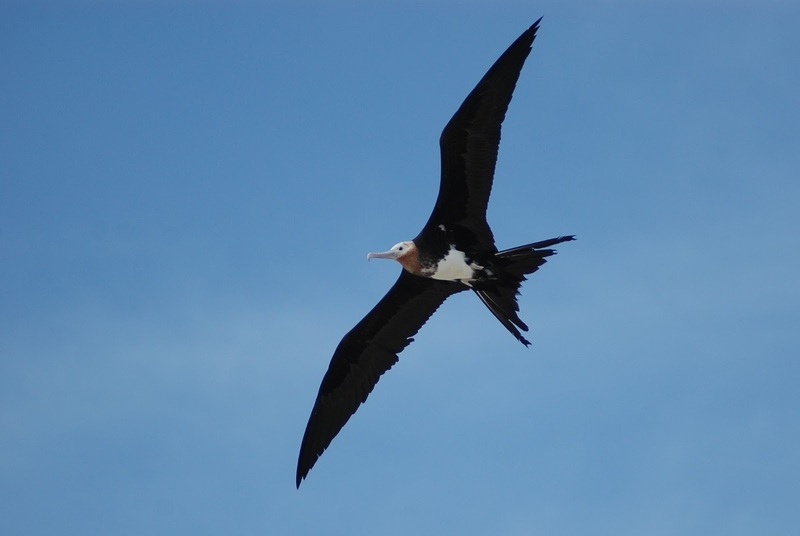 Most birders could not tell you how to identify an immature Great Frigatebird, which is showing off its characteristic ruddy head and pink feet. The Final Five would know this bird instantly, with no need for field guides. Photographed at Midway Atoll. 1. Identification Skills. It goes without saying that the most important factor in ranking of the Final Five are a birder's identification skills. The Final Five must be leaders in the most challenging aspects of North American bird identification, particularly groups such as gulls, tubenoses, female hummingbirds, flycatchers, etc. Intimate knowledge of Mexican, Central American, Siberian, Caribbean and European species that have or could occur in the United States is expected as well. The Final Five are constantly on the lookout for unexpected birds, no matter the chances against them. 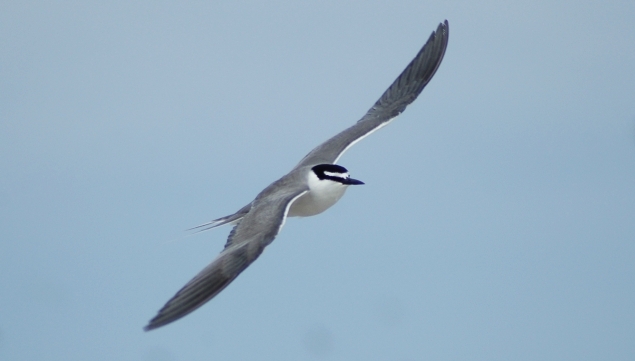 Gray-backed Tern (this one from Midway Atoll) may someday reward southern Californian birders who put in time sorting through summer tern flocks. 2. Birds Found. The quickest way a birder can increase their standing in GBRS is not to chase rare birds, but to find them. For example, points earned for documenting a Ross's Gull can (at least temporarily) completely offset a birder's consistent inability to differentiate Red-necked and Little Stint at 500 yards. Of course finding a national mega carries the most weight, but everything from state records to documenting localized breeding for the first time can cumulatively bear heavily on a Final Five contender's GBRS score. 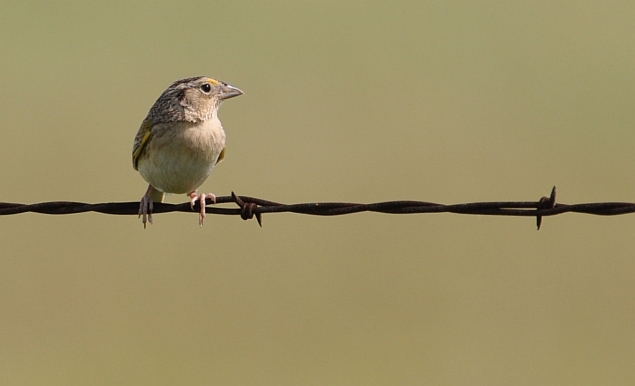 A birder could have Grasshopper Sparrow for every county in their state, and that would not propel them into the Final Five. Medicine Lake National Wildlife Refuge, MT. 3. Lists. The classified formula of calculating a birder's lists and integrating them into their GBRS score remains the same. It is important to stress the fact that impressive list totals often are not found in conjunction with the other attributes listed in this document. 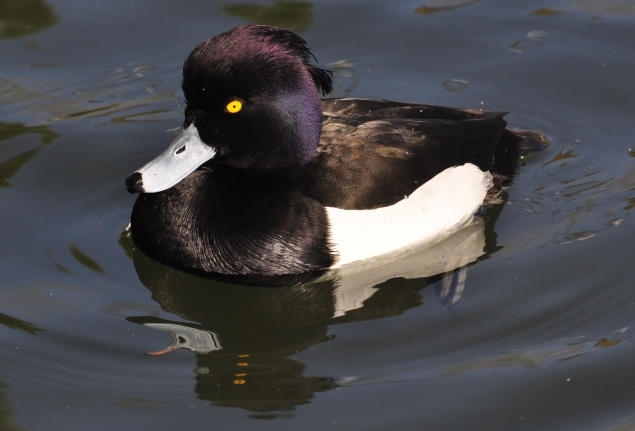 Anyone in the Final Five knows that despite it being an exotic waterfowl species, there has been no suspected case of escapee Tufted Ducks in California for years. Lake Merritt, Oakland, CA. 4. Vagrants and Escapees. The Final Five must have a firm grip on knowing the provenance of birds whose origins are questionable. Neither cage bird conspiracy theorists nor blatantly biased stringers will be eligible for upgrading to The Final Five. Those who have been on the right side of history in cases like this (which may or may not be in accordance to various state committee decisions) will be rewarded appropriately. In terms of molt and plumage, the appearance of this Mississippi Kite would be challenging to describe for many birders. Not so, for the Final Five. Dairy Mart Ponds, Tijuana River Valley, CA. 5. Molt. Simply, complete memorization of the contents of the Pyle books is expected; additional knowledge and insight is preferred. It should go without saying that bird topography must be known like the back of one's hand. The benefits of molt mastery are many and need not be explained here. 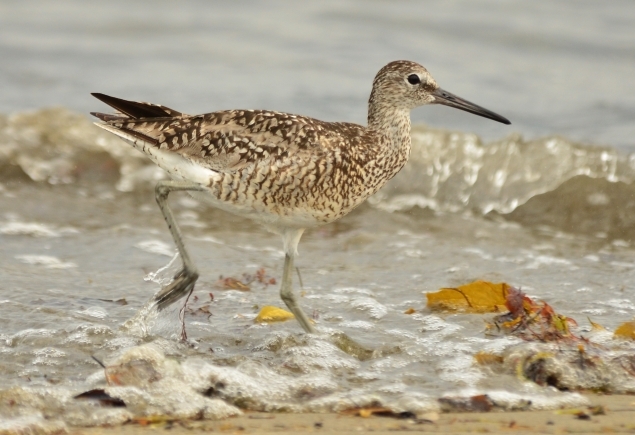 Top-ranked birders have been gossiping about the potential split between Western and Eastern Willets for years. A thorough, respectable genetic study would probably seal the deal; Final Five candidates would know what types of studies would be acceptable in this particular case. "Western" Willet, Marina Park, Ventura, CA. 6. Genetics. The field of genetic studies of birds resulting in splitting and lumping species is fluid and constantly undergoing change. It is paramount that the Final Five know both the current and obsolete methods used in avian genetic studies, the history of these tools, and splits and lumps that may occur going forward. All current Final Five birders are intimately familiar with the flight call of Blackburnian Warbler. 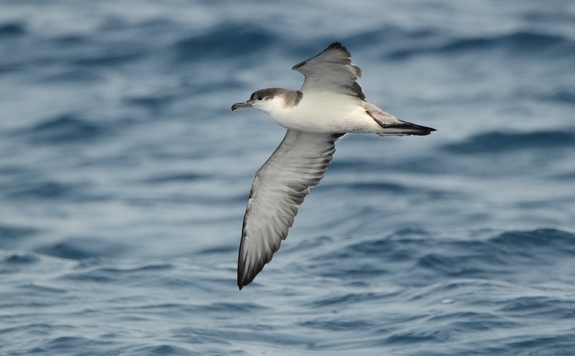 Some inexperience with flight calls of rare and range-restricted species (i.e. 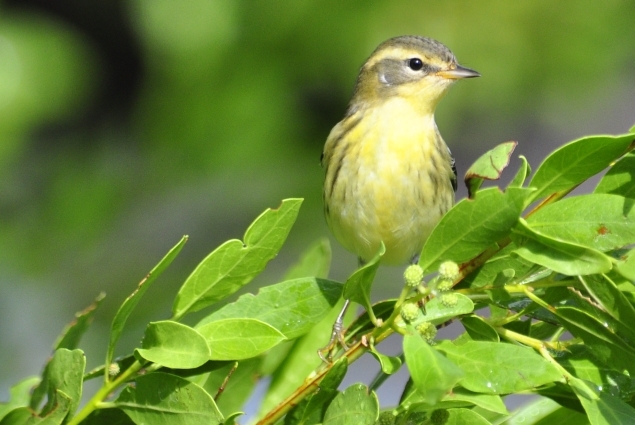 Kirtland's Warbler, Colima Warbler) is acceptable for future Final Five candidates. Dry Tortugas National Park, FL. 7. Flight Calls. Vocalizations are a basic, crucial part of various identifications and need not be discussed here. However, flight calls of passerines are known to a small minority of birders and can provide conclusive identification of unseen flyover birds. Western birders in particular suffer from a lack of knowledge in this field, due to differences in species communities and the nature of migration in western states. Future nominees for the Final Five from western states are expected to overcome this regional handicap. 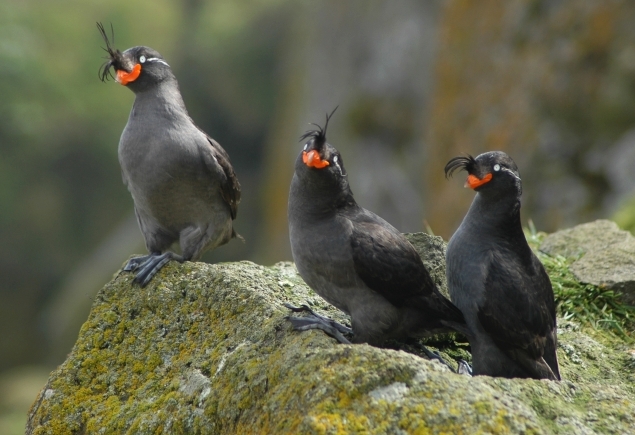 While the laybirder may suggest that the crest of Crested Auklet may simply be a function of breeding plumage, the Final Fiver will know that a study has shown that they serve an important function in feeling their way around the dimly-lit rock crevices where they nest. Buldir Island, AK. 8. Science. The Final Five need not hold degrees in a scientific field, although it is helpful. However, a solid understanding of science and it's framework of critical thinking is necessary. There is no room in The Final Five for theoretical ornithologists, who put forth theories on bird behavior, movements, appearance, and biology based on complete speculation and guesswork. 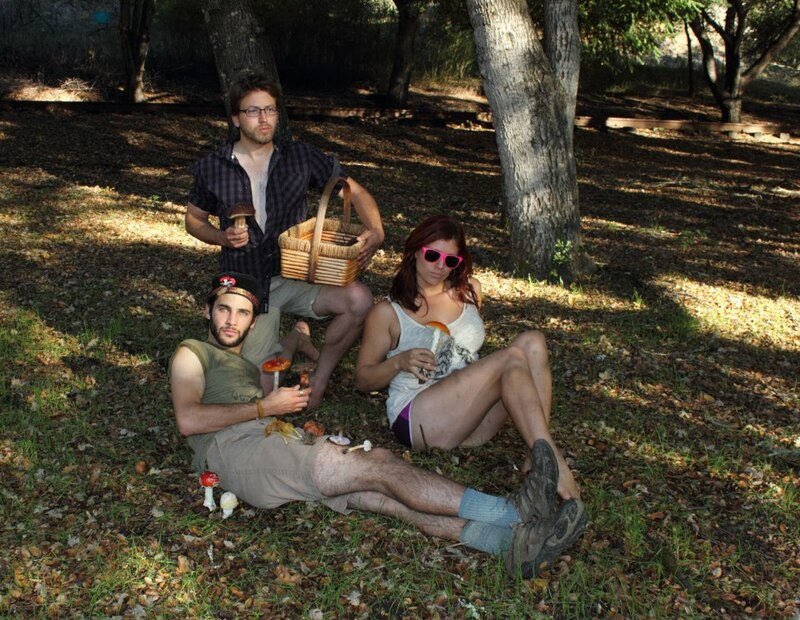 A member of the Final Five is expected to exude a wealth of knowledge pertaining to all North American birds. 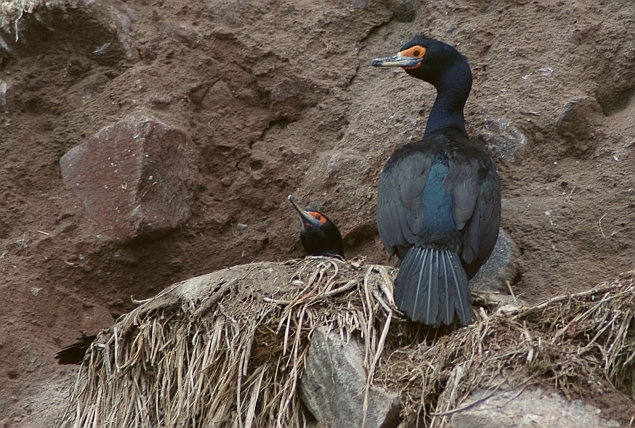 In a recent test by GBRS-RAD, GBRS birders ranked 1-5 all correctly answered that the set gillnet fishery for Kodiak Island, AK, had an estimated bycatch of 28 Red-faced Cormorants in 2002. Buldir Island, AK. 9. Knowledge. Encyclopedic knowledge of birdlife is expected in The Final Five. This includes, but is not limited to, status and distribution of birds down to very fine temporal and spatial scales, repertoire of vocalizations, variations of specific plumages and morphology, behavior, conservation issues, and known connections to ecosystems. Knowledge is power, and one cannot become a power-birder without it. This bucolic scene features birders displaying exemplary conduct. They demonstrate a youthful vigor, ostensible camaraderie, potential solidarity, a healthy interest in something other than birds, and excellent calves. 10. Conduct. A birder is a birder both in the field and after the binoculars come off. The Final Five are expected to have social skills far and above those of the average birder, or to be explicitly clear, the social skills one would expect from the average nonbirder. Expected conduct does not compel the Final Five to be mild-mannered or inoffensive, but the following habits and traits are strongly desired: Not embarrassing themselves in online forums/Facebook groups/listservs; keeping an even temper; comprehension of basic social cues (i.e. the ability to detect and dispense sarcasm, making a joke that other people can understand, etc); lacking prejudices against large swaths of the population (i.e. men, women, Asians, beginning birders etc. ); not pronouncing bird names in bizarre, completely unconventional ways; not being overly serious, petty, or passive-aggressive. A mild amount of awkwardness is acceptable for members of the Final Five, however the stifling awkwardness abundant in the birding community generally prevents birders from advancing beyond Birder #85 or so. With the number of skilled but socially isolated, hermit-like birders in the United States whose conduct is poorly understood, GBRS is considering the creation of a supplemental list to track and rate hermit birders. A decision on the creation of this new ranking subset is expected in the coming months. Moving forward, we continue to cast a wary eye on the incursion of photographers into the birding community and the increasingly gray area between birders and photographers, which some worry may potentially complicate GBRS scoring. At this point in time we will stay the course and not score those who have not admitted to being a birder, in public or otherwise. The annual GBRS 4th of July BBQ in Bridgeport, CA, was a great success! Congratulations to Birder #38, who won the chili cook-off. "Limiting diffusions to two dimensions increases the number of evolutionary jumps within the species. Rise and measure the Temple of the Five. Transformation is the goal. They will not harm their own." Mission Impossible . . . Comment removed by a blog administrator for an evil deed? Seems a silly thought. Great article. 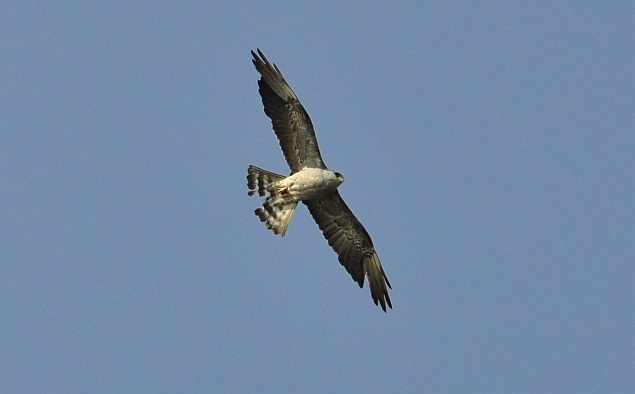 The Mississippi Kite has a remarkably familiar loss of plumage (unfortunately) here in Florida when present. GBRS cannot help you with your kite predicament Bob, but a mere unexplained comment removal is standard procedure for them. "... or to be explicitly clear, the social skills one would expect from the average nonbirder." Nailed it. This is all brilliant, and insane. Thanks Josh. Insanity and brilliance go hand in hand.